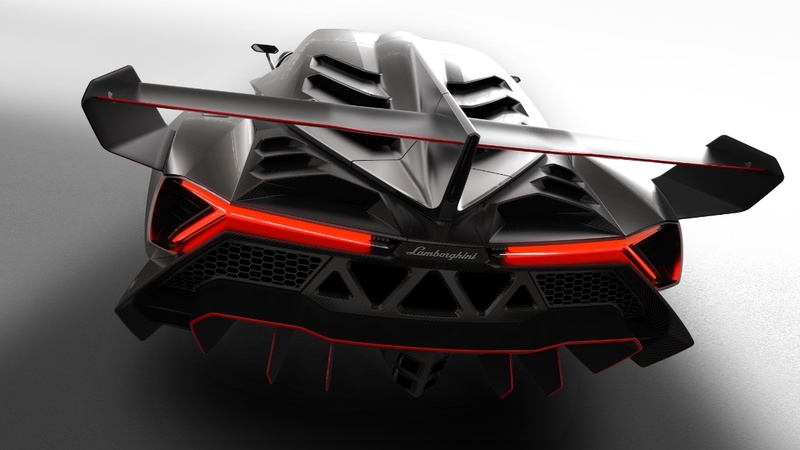 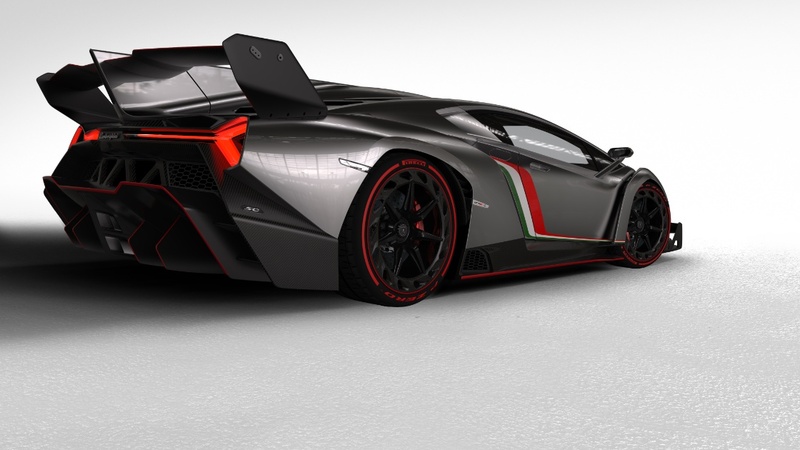 The Lamborghini Veneno ('Venom' in Italian) is a limited production sports car based on the Lamborghini Aventador and was built to celebrate Lamborghini’s 50th anniversary. 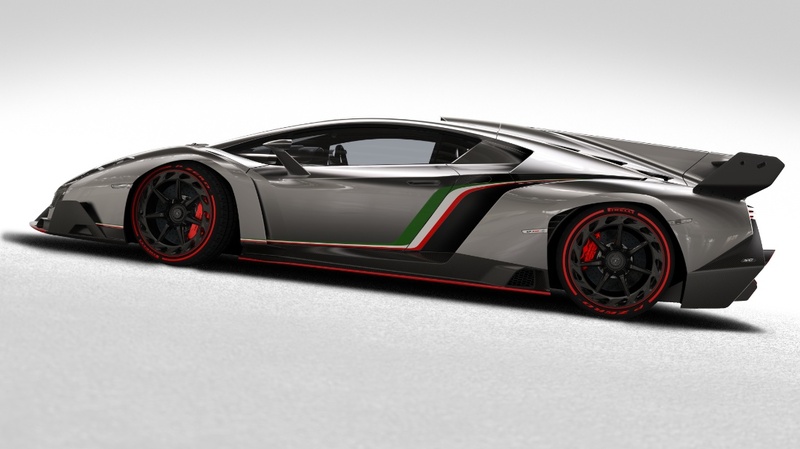 The prototype, Car Zero, is finished in grey and includes an Italian flag vinyl on both sides of the car. 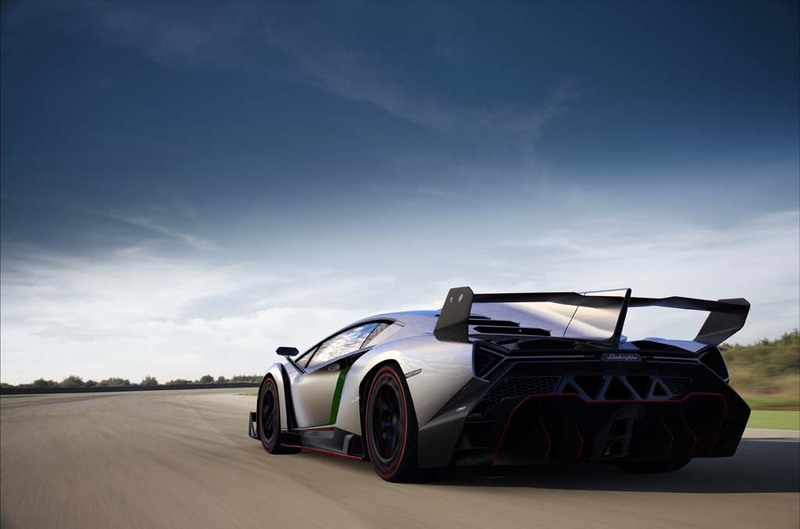 Only three production cars were produced, a green, white, and red one, each representing a colour of the Italian flag. 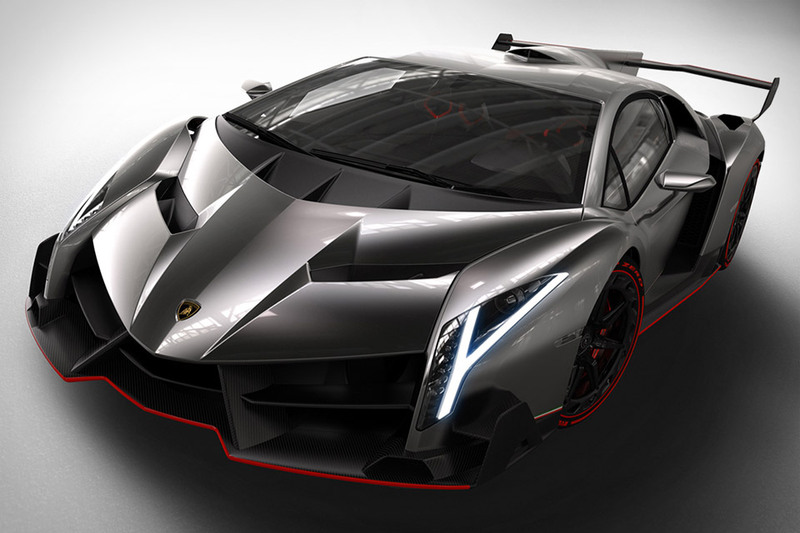 Car Zero, which was the vehicle on display, will be retained by the factory for the museum. 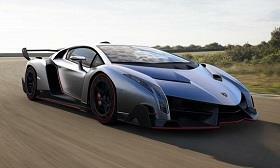 The three production cars cost €3.12 million each, and all three were sold. 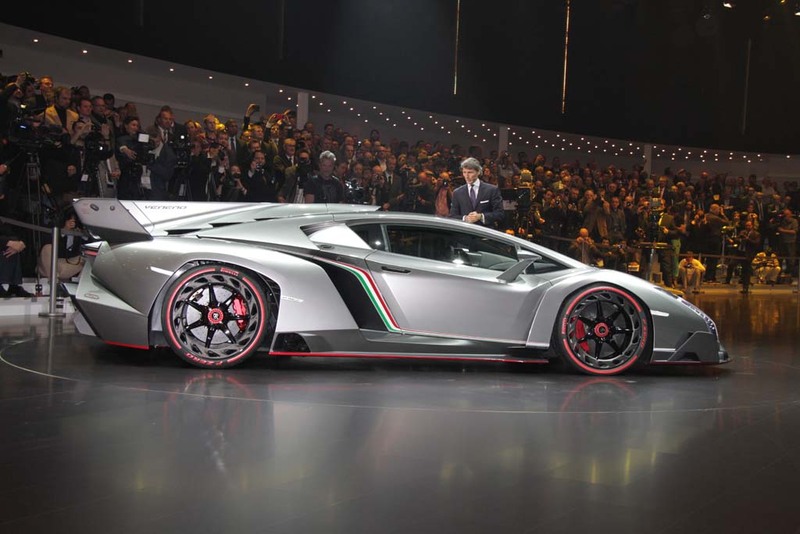 Lamborghini CEO Stephan Winkelmann checks out the new Veneno during its Geneva debut.